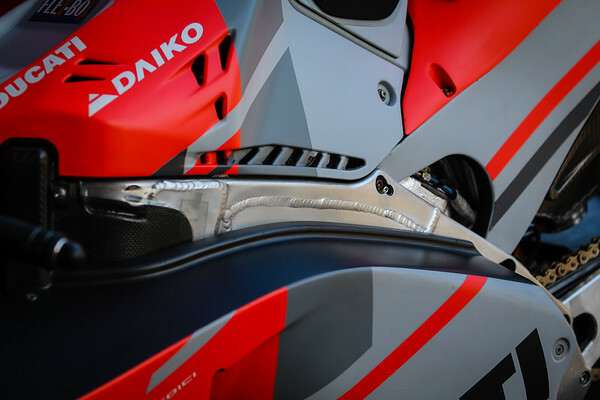 I can't post if on here but if you check out David Emmetts (Kropotkin) twitter feed he took a photo of Lorenzo's Honda fuel tank, it looks a work of art. 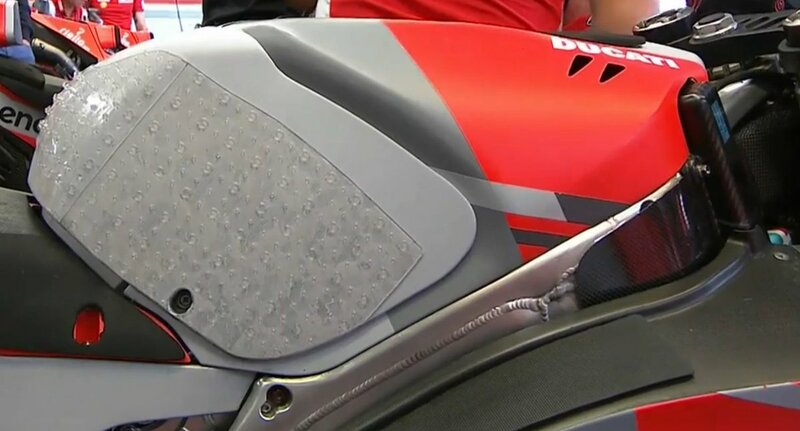 Compare that with the bodged stick on tank extensions that Ducati gave him. What's the problem? What did you expect? One is a prototype for testing the new piece, the other is the bike ready for marketing purposes. That's the race version of the Ducati, and I don't expect the Honda one to change between the launch and race. 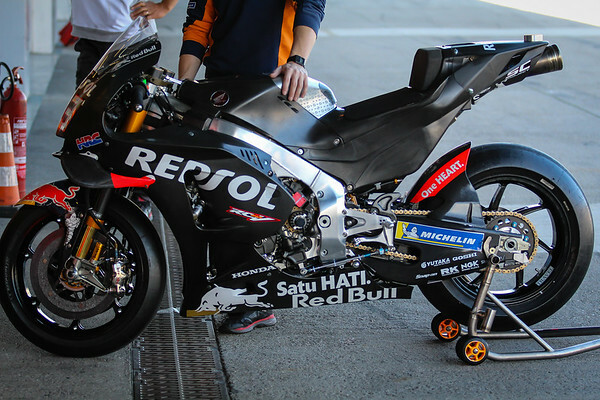 Even on Lorenzo's Valencia test bike, the mods looked better than that. I don't have a problem, it just highlights a difference in the approach of Ducati and Honda. I have trouble with this 25 years, according to wikipedia they've only been in the motogp class since 2003 and with just 1 world championship they don't make the rest look juvenile. Talking about Repsol & Honda being the longest sponsorship together. In comparison to the likes of yamaha and others. Except Ducati who has been with PM for some time now. don't get me wrong I adore that bike and team. Just funny how basically nothing has changed (in terms of livery of course) in 5 years. They only made the upper part of the tank white. If you think on it - it makes sense to not make any major change in aesthetics. It's such a recognizable color scheme. Branding is so important. It's amazing when you think of how many motorcycles, scooters and other conveyances there are worldwide that sport this classic color scheme. Especially in Asia. They're everywhere, and that creates a sense of belonging (a false one no doubt) that many people really love. Personally - I find it annoying and frustrating the way these companies change their livery from year-to-year, with hit or miss results. Some of Yamaha and Ducati's liveries have have been so drab and awful. That mostly white one they did as a one-off in Australia for Stoner was so great. The totally should have kept it. AFAIK that is being manufactured by Kalex, not Ducati. And what about those weldings? About the fuel tank, no comments. As I said, one is a prototype, the other the final version. Last edited by gui22a; January 25th, 2019 at 04:48 AM. I suppose the point is that it took Ducati a long old time to produce a very unrefined tank solution, and that goes for the seat unit too. How long did it take them to work out Jorge's seating position? And even up to the last iteration of the bike he rode it still looked like bits of foam glued together for him to perch upon. Honda turned up at the test with 2 tanks that only needed a lick of paint to look showroom standard. That tells me everything I need to know about the differences between the Japanese and Italian approaches to equipment development. That is not to say the Italians haven't found their own path however. The ducati looks to be far more conceptual and bleeding edge in terms of philosophy whereas the Honda looks much more conservative but is also a study in the art of refinement. Quit being so defensive about Ducati. The photo I posted was from Austria, so you can hardly call that a prototype when it had been in use since Mugello. The point is, Lorenzo hasn't even started the season yet and Honda have given him a tank design he wants that has been manufactured from scratch, rather than sticking foam onto an existing shape.